Check box next to your choice, enter quantity total if more than 1 of that style desired. Then Click Add to Cart button. Sold singly - NEW LOWER PRICING!! The Beakers make the task fast and easy. Clean up is quick too! Dishwasher safe. 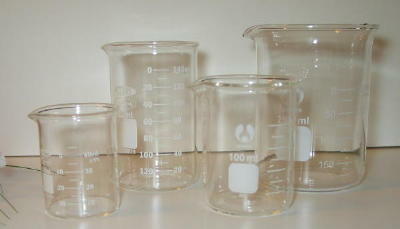 The 50 ml Beaker has measure lines marked at 10ml intervals. 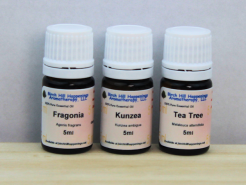 The 100 ml has measure lines every 10 ml's starting at 20 ml going up to 100ml. Note: We personally inspect each and every beaker before it is packaged and boxed for shipment to you. Open Packaging carefully. They are glass. I bought the 50ml beaker a while ago and I am so in love with it! It helps me make my blends more exact, and it's delicate, yet a durable and sturdy little thing! I can't wait to buy the next sizes up!